After completing a full year of homeschooling we now have a better understanding of Amber's educational needs and her learning style. We definitely had our share of successful and not-so-successful curricula and teaching methods (she is absolutely not a tactile learner). We have also learned that although Amber was an excellent, straight-A student in her parochial schools, she learns much better with methods other than those used in her schools. Turns out Amber has a near photographic memory, like Fred, and can memorize just about anything. She even describes pulling up images and "reading" them like pages in a book. While this is very useful in some situations, it also prevented her from truly understanding and applying the information she was to be learning. 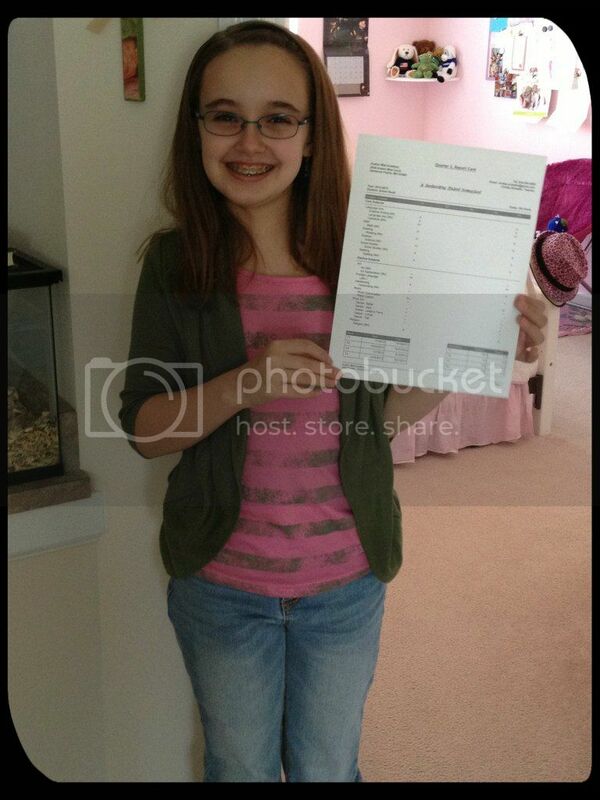 Straight A's... but does she really understand the material? As a result of working more closely with Amber this past year, and doing unknown hours of research on learning methods, we have decided to embrace a classical education for Amber. We do not plan to eschew all learning that is not part of a classical education, nor due we plan to strictly adhere to the plans given in The Well Trained Mind (TWTM), or other classical education outlines. I expect us to remain somewhat eclectic, but leaning as far as we can in a classical direction. I did look into Classical Conversations multiple times. I have really tried to like what I saw there. I simply could not bring myself to find Classical Conversations a good fit for us. Strangely, it seems too rigid and controlling. 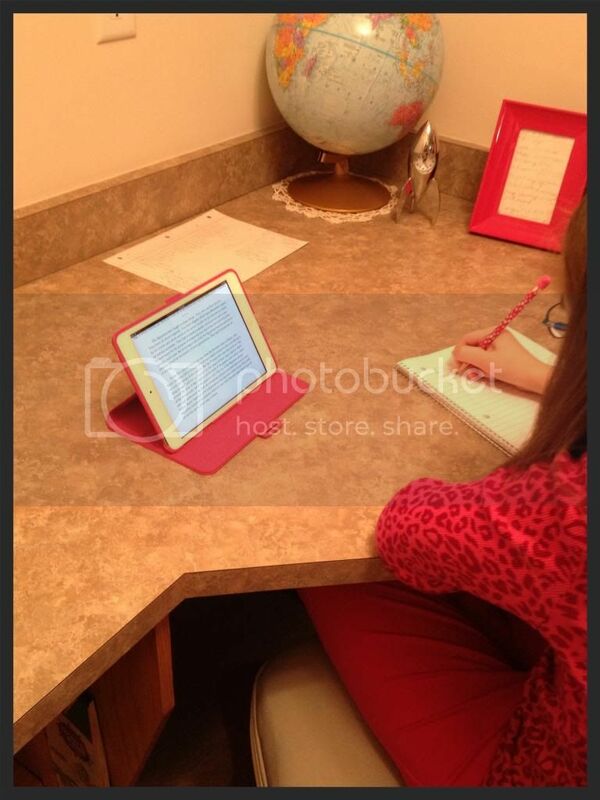 Maybe it is because we are still fairly new to homeschooling, and it looks a little too much like school. Who knows? The decision to take a more classical turn did prompt me to change some of Amber's curriculum that wasn't working out as well as I had hoped while adding another subject I felt was needed now. After reading the TWTM, I did agree that more focused logic training would benefit Amber. There are times when topics are not always as clear to Amber as I expect they should be. Her mind also seems to jump around on occasion, failing to follow a clearly logical path I feel has been set right before her. Admittedly, I have had formal logic training and may be expecting a little too much from a child. However, she could greatly benefit from even simple logic exercises. Logic can be fun too! Originally, I planned to use Critical Thinking Book One from The Critical Thinking Company. I even purchased the books. Of course things rarely go as originally planned around here. When it came time to actually use the curriculum, neither Amber or I felt she was ready. Instead, I ordered Building Thinking Skills Level 3 Figural from the same company. 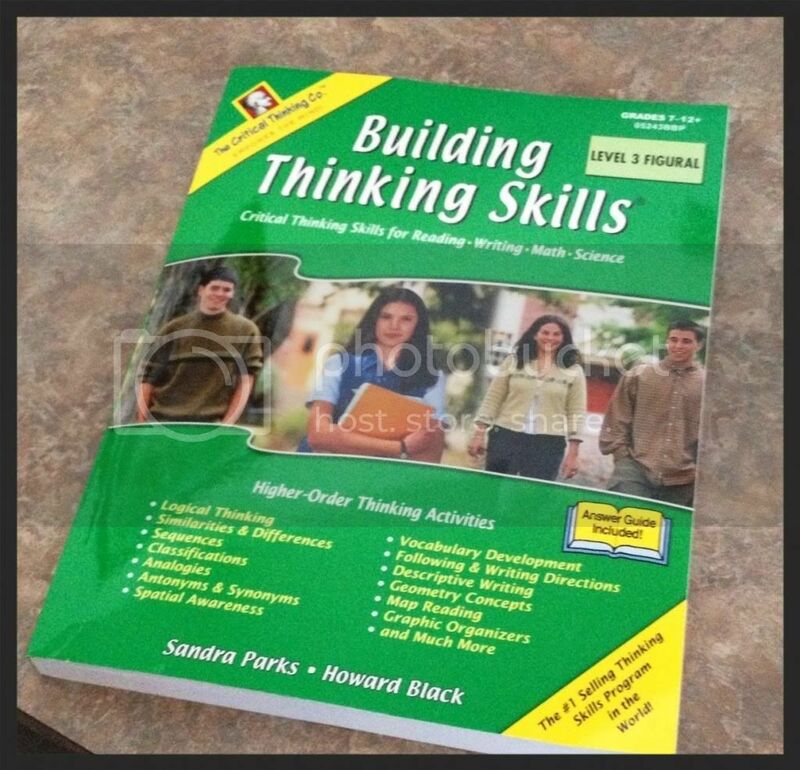 After viewing a sample of this book prior to deciding on the original Critical Thinking book, I concluded Building Thinking Skills was a little too easy. That assessment may still be correct, but there is no intermediary step between the two levels. As suspected, Amber has found the first 1/3 of Building Thinking Skills to be easy and completed that portion without any errors. I like to hope she is actually training her mind to think in a different way and focus on the logical steps to arrive at the solutions. We do go over the exercises before she starts each assignment. 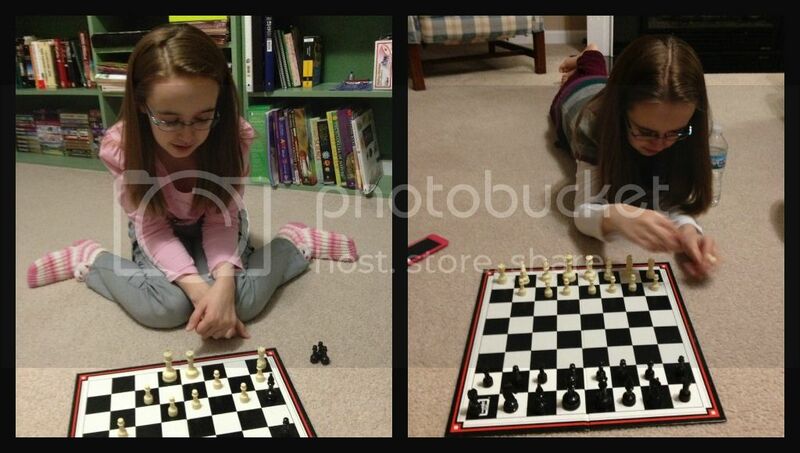 Our goal is for this level to make Critical Thinking more palatable for her next year. Another step we took to move in a more classical direction was replacing the current writing curriculum with Writing With Skill Level 1. Amber sampled this last semester and we decided to continue with it this semester. Her English 5 curriculum from BJU alternates between writing and grammar units. While I love the grammar units, I have found the writing units to be less useful for our situation. Amber was no longer progressing in her writing abilities and she needed another style of learning. I cannot praise Writing With Skill enough! Amber's writing has progressed further than I dreamed in just a couple of months. Her narrative summaries have pertinent information and cohesion. Her outlines actually include the main topics without the minute details. Her note taking has improved in all subjects. Nearly as important, Amber does not loathe this curriculum. I expected her to trudge through each day, but she honestly doesn't mind completing the assignments. Writing With Skill is not an easy curriculum, however it is truly one of the best writing curricula we've seen. It's also not nearly as painful as its reputation may lead you to believe. The lessons honestly do build upon each other in a natural progression. Just don't skip ahead or let your student look too far ahead. It may freak them out just a tad. We use WWS1 on the iPad. She finds it much easier than workbooks. Changes also will soon come to our science curriculum, but not only out of a wish to transition to a classical learning style. Amber will complete her 5th grade general science curriculum in early April, so we will take advantage of the extra time to get a head start on Biology for 6th grade. We hope to make science one of our summer subjects and complete the "dreaded Biology" by Christmas. Our current plans are to begin using Elemental Science's Biology for the Logic Stage immediately following standardized testing in April. Wish us luck. This slower migration to a classical education style, hopefully, will make the transition easier for my change-phobic child. Thankfully, all has gone shockingly well so far and Amber is thriving as never before in her education.